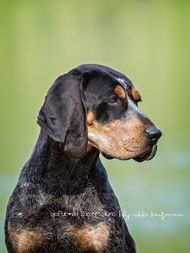 Home of the 2018 Westminster Kennel Club Bluetick Coonhound breed winner! Welcome to Cedar Creek Kennels. We are located in the foothills of southwest Washington State near the city of Washougal. 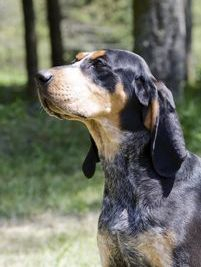 Here we raise, show, and hunt Bluetick and Redbone Coonhounds. 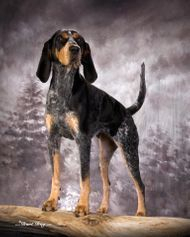 We strive to produce a conformationally sound Coonhound that can excel in the show ring and perform in the woods. Our hounds are bred for their brains, health, loyalty, and the drive to hunt. I currently show in AKC, UKC, International conformation and Coonhound Bench Shows. 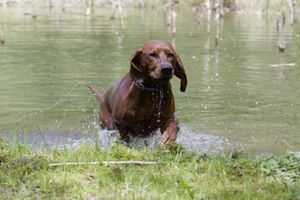 During the summer I enjoy doing Field Trials, Water Races, & Treeing Contests with my Hounds.